This heavy-duty Ohio Steel Welded Steel ATV Dump Cart is ideal for extra-large hauling jobs around your yard, farm or estate. The 20 cu. ft. steel bed will hold a staggering 1500 lb. and is large enough to effortlessly haul large .. 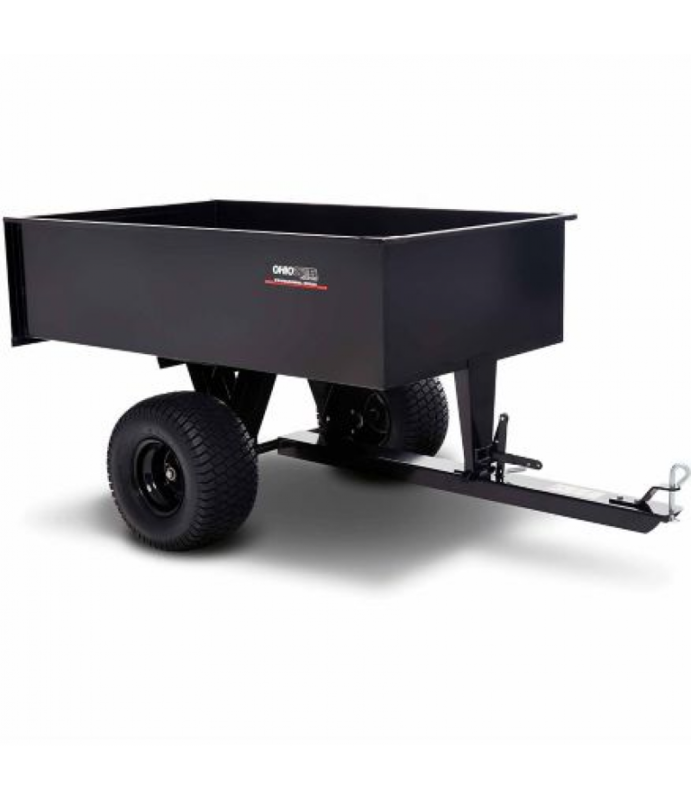 This heavy-duty Ohio Steel Welded Steel ATV Dump Cart is ideal for extra-large hauling jobs around your yard, farm or estate. The 20 cu. ft. steel bed will hold a staggering 1500 lb. and is large enough to effortlessly haul large bulky items. The cart bed tilts to empty load with activation of dump lever. Hauls mulch, dirt, rocks, firewood, and other gardening, farming and landscaping materials with ease. For over 50 years Ohio Steel has manufactured high-quality, innovative tractor and ATV attachments that help get the job done faster and with less effort.